A brand new series of investment seminars for foreigners interested in taking the first step in Japanese real estate investment. Doors open at 10:30AM. The seminar and private consultations will be held from 11AM to 1:30PM. Please note we are no longer accepting registrations for this seminar because we’ve reached maximum capacity. We sincerely apologize for any inconvenience. Seating is still available on these dates and times. Please visit the following pages to register. 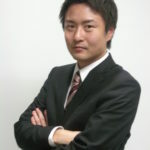 Real Estate Japan Inc. and LINC K.K. are pleased to present this brand new series of investment seminars for foreigners interested in taking the first step in Japanese real estate investment. With the 2020 Tokyo Olympic games pushing up property prices in the capital and recent legalization of minpaku (Airbnb-style) home sharing, the Tokyo residential real estate market has been at the top of the news. The headlines may have piqued your interest, but what about other predictions being made, such as the possibility of a crash in the residential investment condo market following 2020 or the well-documented long-term decline in Japan’s population. What exactly are the risks versus possible returns involved in investing in the residential real estate market in Tokyo? In this series, we will be presenting objective information about the market, purchase process, and more, in a clear and transparent way so you can decide for yourself. Mortgage simulation: After the formal talk, we will be holding one-on-one consultations, including walking you through a financing simulation so you can see the kind of mortgage loan programs/interest rate that you may qualify for. Who is this seminar meant for? This seminar is designed for foreign residents of Japan who are new to Japanese real estate investment. 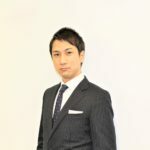 This is a unique opportunity to get objective information about investing in single-unit properties in the Tokyo metropolitan area. Seats are limited, so please register below!